산티아고의 편리한 위치에 있는 라스타리아 투어리스트 아파트먼트 43-61에서 여행을 시작해 보세요. 도시의 재미가 가득한 곳에서 0.01 km 거리에 있는 이 3성급 숙소는 좋은 위치와 도시의 많은 명소들로의 접근성을 자랑합니다. Iglesia de la Vera Cruz, Barrio Lastarria, Casa Berri 등에 가기도 편리합니다. 본 숙소(라스타리아 투어리스트 아파트먼트 43-61)의 훌륭한 서비스와 우수한 시설이 잊을 수 없는 여행을 만들어 줍니다. 개별 투숙객의 편의를 위해 Wi-Fi (무료/전 객실), 24시간 경비 서비스, 일일 청소 서비스, 24시간 프런트 데스크, 익스프레스 체크인/체크아웃 등을 쉽게 이용할 수 있습니다. 라스타리아 투어리스트 아파트먼트 43-61 고유의 분위기가 모든 객실에 반영되어 있으며, 평면 TV, 무선 인터넷, 무선 인터넷(무료), 금연 객실, 에어컨 등을 이용할 수 있습니다. 본 숙소 투숙 기간 다양한 여가 시설 등을 이용할 수 있습니다. 본 숙소(라스타리아 투어리스트 아파트먼트 43-61)는 산티아고에서 편안하고 매력적인 곳을 찾는 여행객들에게 이상적인 장소입니다. 지역 조세법에 따라, 칠레 시민(칠레에 59일 이상 체류하는 외국인 포함)은 19%의 추가 요금을 지불해야 합니다. 인쇄된 청구서가 필요한 외국인 비즈니스 여행객은 칠레 체류 기간에 상관없이 19%의 추가 요금을 지불하셔야 합니다. 해당 금액은 총 예약 요금에 자동 계산되지 않습니다. Clean, spacious apartment in a nice neighborhood. Wonderful staff! We had purchased a case of wine at a winery and they held it at the desk until we returned the following week! We would highly recommend this location. Three of us stayed in a 2 bedroom/2 bathroom apartment for 4 nights. The size was perfect for our needs. 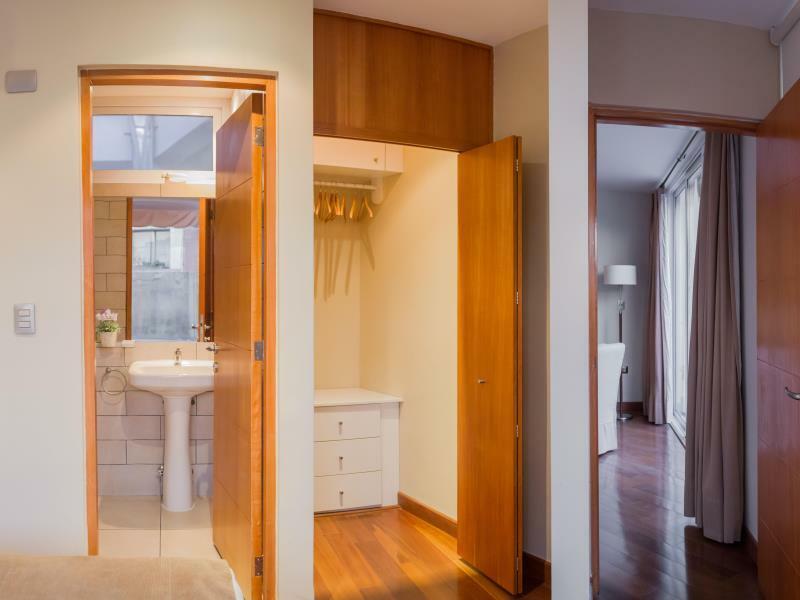 The location was exceptional - walk out the front door into the neighbourhood of cafes, markets and street entertainment. The apartment was maintained daily and had a small kitchen if we wanted to prepare a meal or snack. The staff were very helpful both in advance of our stay, answering a few questions and while we were there. They also arranged excellent transport to and from the apartment. All of us enjoyed our stay at the apartment and would recommend them. 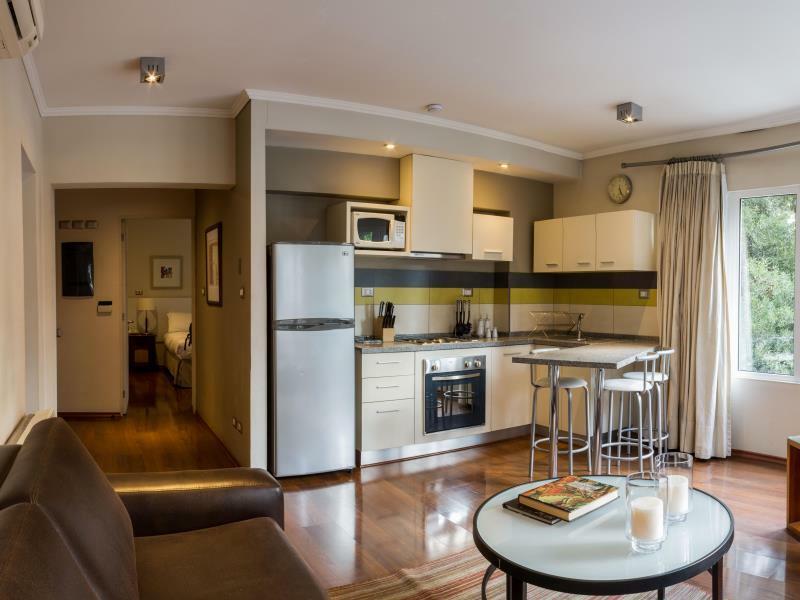 My friends and I arrived late at night in Chile, and were whisked away to this great apartment building in the heart of the Lastarria neighborhood. Our first time, we didn't understand the full impact of this until we took our first steps and found cafes, restaurants, bars, little shops all within steps of the building...I particularly loved the neighborhood, and the fact that there was perhaps 50-75 meters between the property and the where the livelihood started, which meant that the hotel was quiet and peaceful. It seems like we couldn't have picked any better even if we tried. The rooms were comfortable, clean, and cool (during a particularly hot weekend). The only drawback -- and I knew this going into the booking -- is that the room I had (Room 12 in the #43 building) is a tad small. This didn't matter as I was out and about each day, and really only slept there or cleaned up between excursions. The staff were friendly and responsive. I'd stay again, for sure! 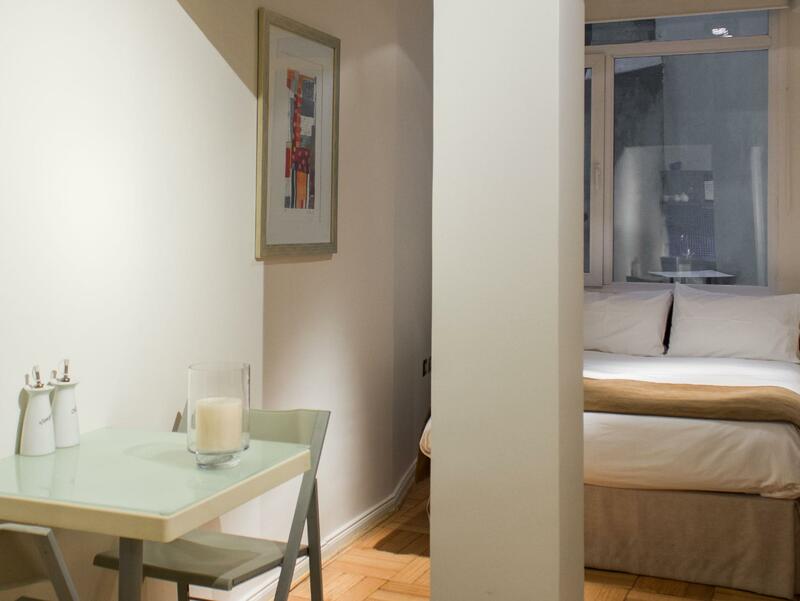 The Lastarria 43 staff were very helpful all during our stay. The neighborhood is lovely, very European with lots of street cafes. Everything you need within blocks and super close to most of the tourist spots. The apartment we had was a studio and had everything we needed for 2 people. The only improvement we could see that was needed in it was a second chair, so we ended up sitting on the bed a lot when we were in the room. Also, they Oil the wood floors so it’s good to take flip flops or something comphy for your feet or else they get pretty dirty. Not a lot of space to put things but they have larger apartments that accommodate larger groups. We are senior citizens and we’re on the first floor with very few stairs to manage, but if you have an injury or bad knees, make sure you are one the lowest floor b cause the stairs are a challenge. I loved this place and would definitely stay there again. It’s a beautiful budget friendly place in my favorite part of the city. The two duty manager were excellent. One helped carried my two huge luggage up three floors. The other manager volunteered and helped us book a cab via his own mobile. Thank you very much for your excellent duty managers. 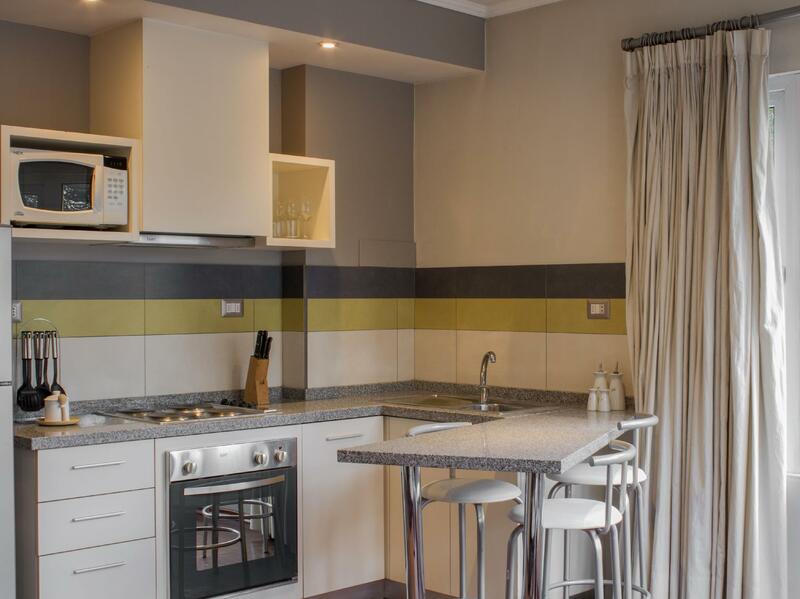 Well located and comfortable apartments in the heart of Lastarria. The staff are friendly and helpful. 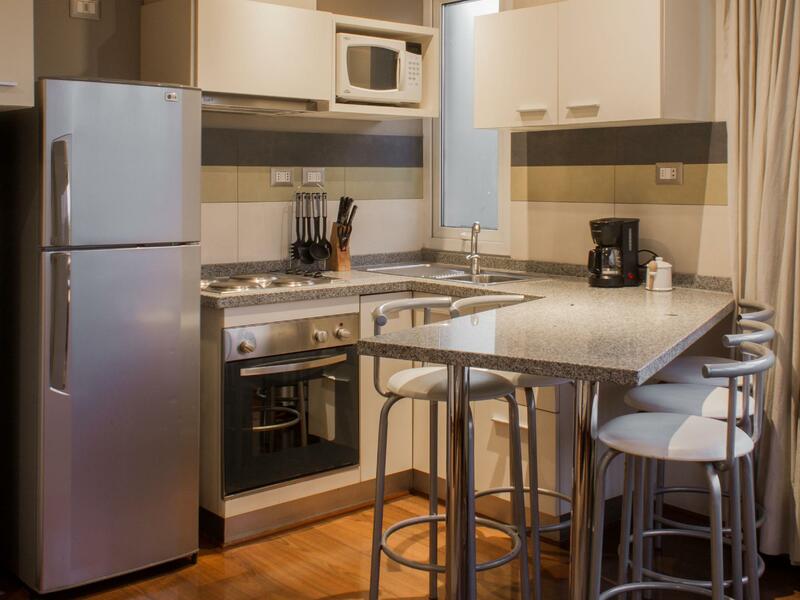 The apartments are good value for the quality and cleanliness. Lastarria is a great neighborhood for dining, drinking and people watching. Beautiful parks and Centro are a short walk away. 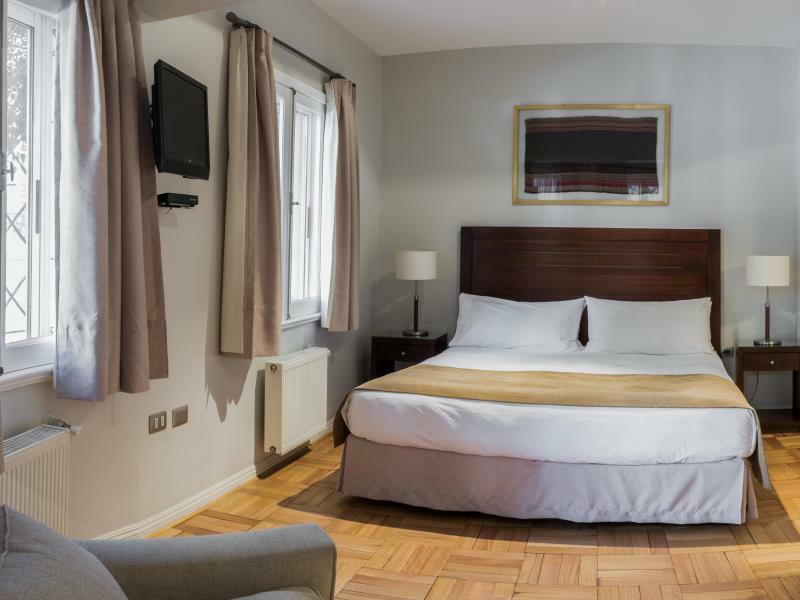 If you want to stay in an area that isn't modern, this is the place for you. Staff spoke excellent English and were very helpful. 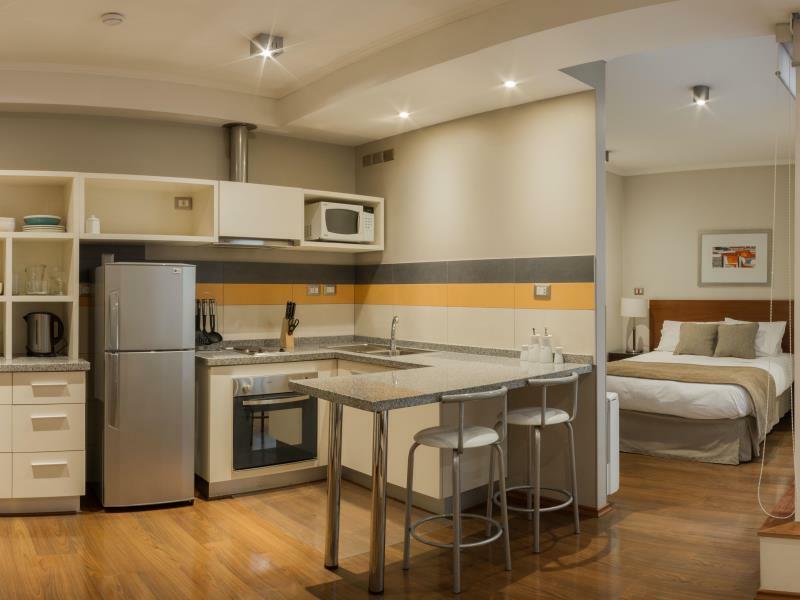 Stayed 4 nights at the Lastarria Tourist Apartments recently, excellent helpful staff, clean and comfortable room with kitchenette. Great location, busy street is noisy at night but does quiet down by 10 or 10:30 pm. This was probably our best stay in Chile. The location is great. 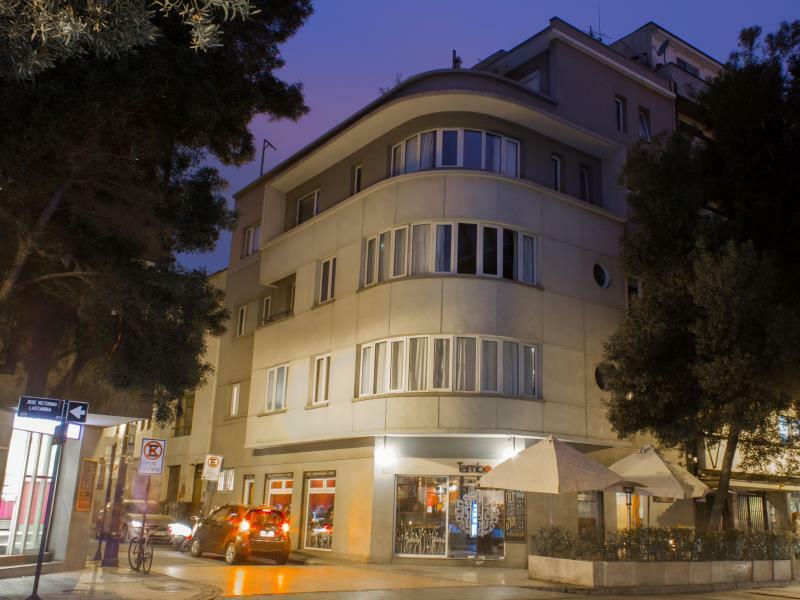 It is in a really nice area full of shops and restaurants, just a block away from the cultural museum and short walk to parks, free walking tours... The apartment was clean with all the amenities. Best towels in Chile. There is both heat and air conditioning in the unit (a lot of places do not have heat or only wood stoves) The staff was always very prompt with all inquiries (almost instantaneas). They were willing to keep our luggage in a secure place after we checked out and arrange for airport pickup. They helped us with our bags up the 4 flights of stairs even when we told them we could handle it. My husband got very sick with a high fever and they let him stay in the apartment till our late night flight for only a small fee which was a lifesaver. My only regret is that we couldn't stay longer. 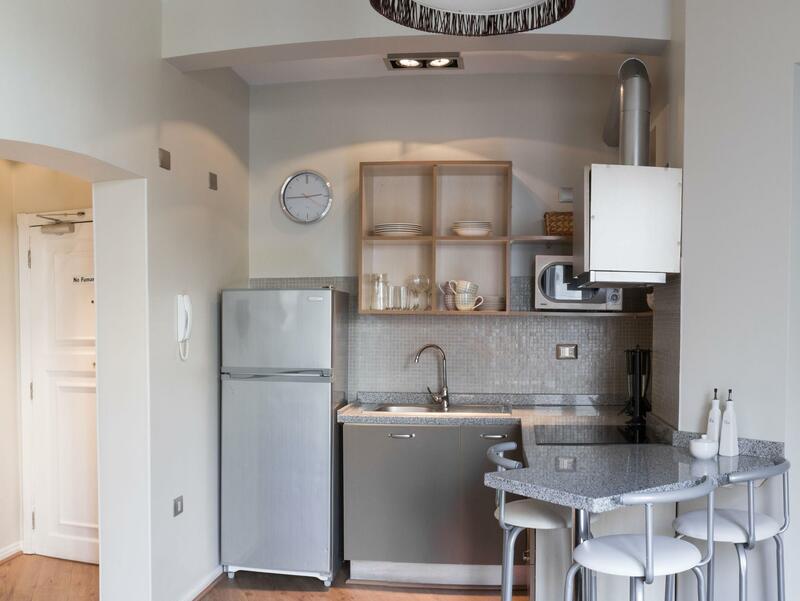 Helles, kleines gut eingerichtetes und ausgestattes Appartement genau in Lastarria. Viel Staufläche. Freundliche, hilfsbereites Personal. Schönes Bad mit Fön. Alles war sehr sauber. Einziger Nachteil ist, dass es etwas hellhörig ist. As a solo female traveler I was most comfortable in this hotel. The street is wonderful- good restaurants for breakfast and dinner. Also within walking distance of the museums. Everything was perfect! Had the best night sleep in Santiago, the bed was the best! Very comfortable & quiet mini apartment in a brilliant location next door to lots of great restaurants, some unique boutique shops, an excellent park, and a short walk to the Funicular (currently out of order but a bus does the route up the hill) and the cable car at the top giving fantastic views of Santiago. Well recommended. 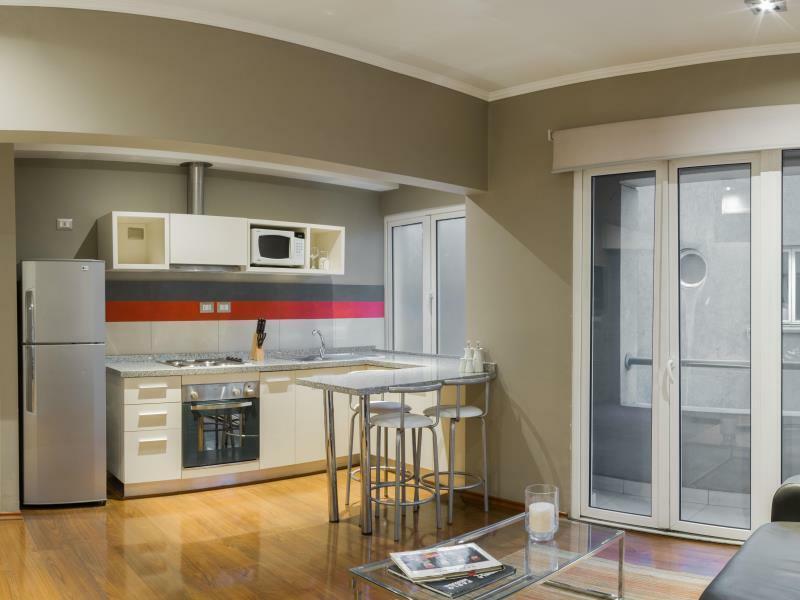 These apartments are modern, spacious and well appointed. They are well placed for all the central sites of SdC. The road itself is full of good restaurants, bars and cafes. Excellent value for money. Perfect location, close to subway and Uber is inexpensive if subway isn’t your thing. There are not a lot of English speaking people in Chile, so having staff that did speak English was a luxury. They were all very helpful, Romando one of the best , all very nice We stayed here at the beginning and end of our trip to Chile. The restaurants within a 5 minute walk are excellent and were recommended by several sources. The hotel itself is clean and spacious. They have a room to tuck your suitcases in if you have a late flight and need somewhere to put them after checkout. There is a gelato place next door, although the one around the corner of the same name gives bigger servings! It is well worth the price, I would definitely stay there again. We were there with 2 adult children, in a 2 bedroom apartment. It had a full kitchen.